With more than 25 years of combined experience in dairy economics, risk management, policy analysis and dairy production, the Daily Dairy Report staff provides timely insight on the daily dairy markets and trading as well as analysis of the government price, production and supply reports. While summaries of recent market activity are valuable to readers, our goal is to "connect the dots" by explaining to readers which data points are important and why. 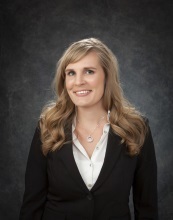 Sara Dorland, managing partner in Ceres Dairy Risk Management, LLC, specializes in providing risk management services to businesses within the agriculture sector, with focus on the dairy industry. Sara has represented dairy producers, cooperatives and consumer products companies in risk management dealings nationwide. 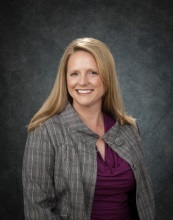 Prior to starting Ceres Dairy Risk Management, LLC, Sara was the Director of Risk Management for Darigold, Inc. She spent the first 10 years of her career working in both the Ingredients Division and Risk Management teams of Darigold. Sara received her Masters of Business Administration from Seattle University in 2001. She has her BA from the University of Washington. In 2001, Sara received a certificate from Harvard Business School Executive Education Program in Leadership and Strategy. Sara is a member of the American Dairy Products Institute, International Dairy Foods Association, U.S. Dairy Export Council and American Agri-Women. She also has participated in the CME Group’s annual Dairy Forum since its beginning. Sarina Sharp, market analyst, manages risk for feed, milk and beef for her family’s Michigan dairy operation. She joined the operation in 2010 and lives in Michigan with her husband and two daughters. She grew up on dairy farms in California and Michigan. She graduated with honors from Covenant College in Lookout Mountain, Georgia, where she majored in Business with concentrations in Accounting and Finance. She also earned an English Minor. After college, Sarina obtained her Series III certification and worked as a commodity broker and research analyst at the Nesvick Trading Group in Memphis, Tennessee. At the Nesvick Trading Group she published daily reports about commodity market news and fundamentals, focusing in the grain, oilseed and beef markets.